The number of UK visitors to Rwanda has grown by 21%, according to the African country’s official promotion brand Visit Rwanda. Its full-year 2017 figures show 16,000 business and leisure travelers from the UK, a fifth more than in 2016. Visit Rwanda says travelers are making their way to the country for wildlife, new premium lodges, and its scenery. 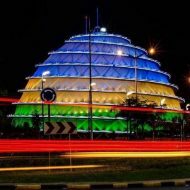 Visit Rwanda, which became the official tourism partner of Arsenal Football Club last week, has been focusing on promoting the new ‘tourism circuit’ including all three of the East African country’s national parks at Akagera, Nyungwe, and Volcanoes, as well as Lake Kivu and the Capital Kigali. Visitors are also choosing more experiences, such as kayaking, cycling, and trekking, Visit Rwanda said. RwandAir launched services from London Gatwick to Kigali onboard new Airbus A330 last year. Upcoming hotel openings include One & Only’s Nyungwe House in Nyungwe Park in October 2018 and Gorilla’s Nest in Volcanoes National Park in summer 2019. Wilderness Safaris will unveil Magashi Camp in Akagera Park in December 2018 and Singita will open Kwitonda lodge in Volcanoes National Park in August 2019. Renovations have been carried out at Virunga Lodge, Five Volcanoes and Sabyinyo Silverback Lodge in Volcanoes National Park. Clare Akamanzi, Chief Executive Officer of the Rwanda Development Board, said: “We’re humbled to see so many more UK visitors head to Rwanda. We are a clean, green country with the friendliest people in Africa and some of the most beautiful scenery you can find on the continent.